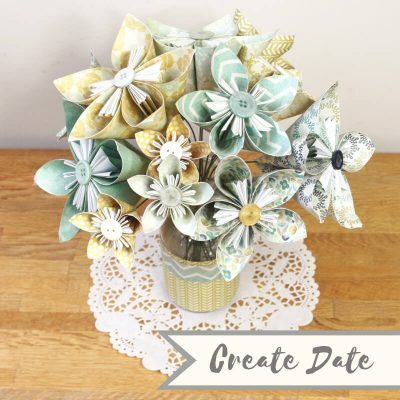 PLANNING A SPECIAL GET TOGETHER? INTERESTED IN SESSIONS FOR WELLBEING IN THE WORKPLACE? 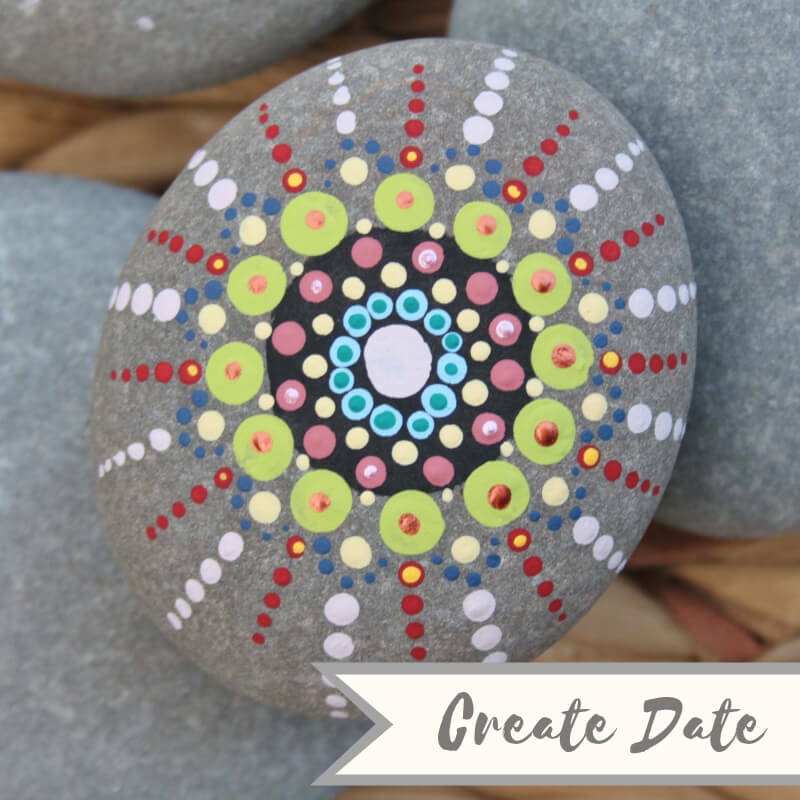 Create a striking mandala stone, a token of strength and a reminder of the ripple effect from the inner self to the wider world. Enjoy acquiring a new skill and lose yourself in the meditative process of growing your design from the centre out. 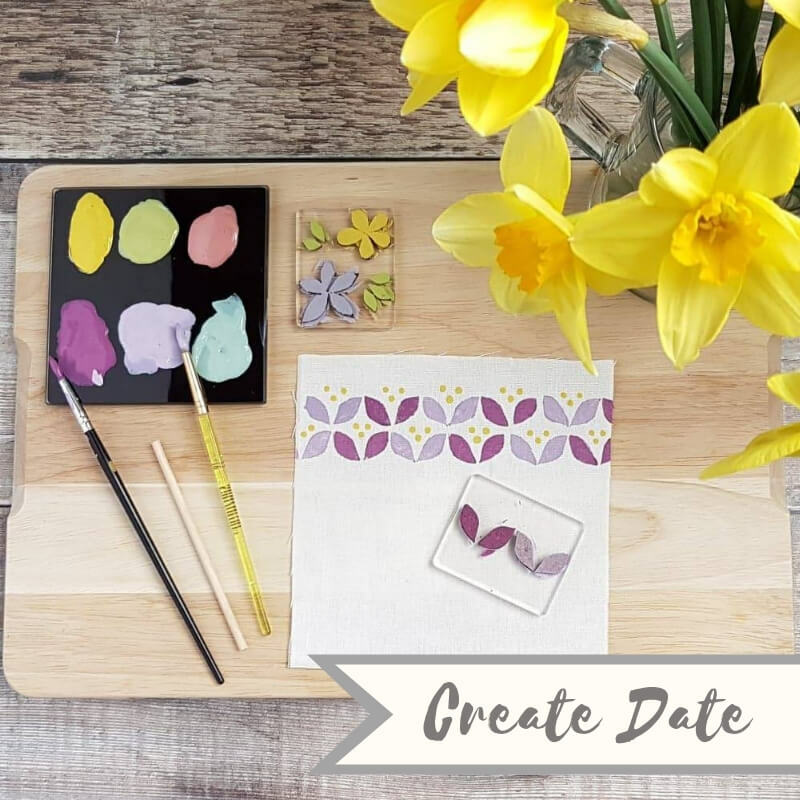 Learn the basics of printing on fabric, whilst working with a dreamy palette of colours and fresh floral motifs to make a printed natural canvas pouch to take away. The handy sized pouch has a wipe-clean laminated interior for easy cleaning so it’s perfect for cosmetics, pencils or craft items. 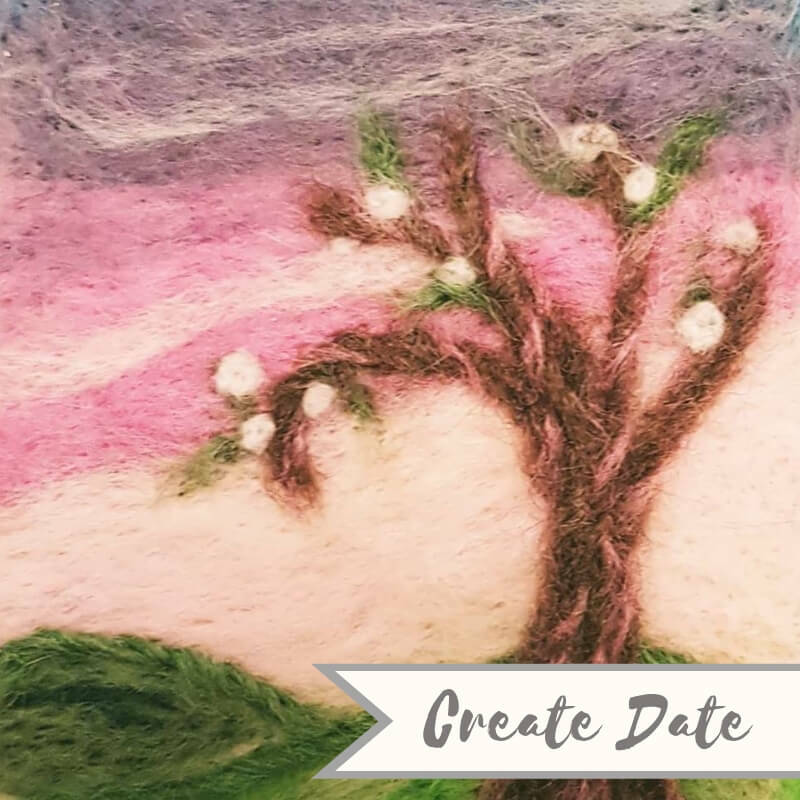 Learn the basics of dry felting and work with luxurious merino wool to create your own colourful mini landscape work of art.